Supplement Tree Joint Support Tablet is an advanced and revolutionary joint support supplement for dogs & cats. 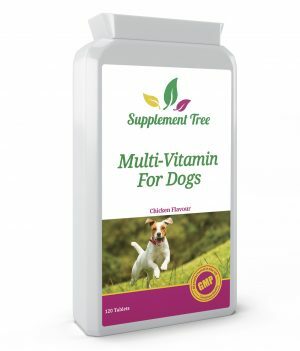 It contains 100% natural food ingredients specially chosen for their ability to promote healthy and free moving joints. Now available in this extra value pack of 300 tablets. 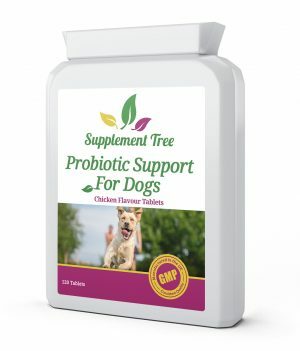 Supplement Tree Joint Support Tablets are easy to administer and comes in chicken flavoured tablets. It is effective for dogs with active or working lifestyles, as well as for veteran canines to help prolong activity and mobility. As your pets get older they are slowed down by the wear and tear on their joints and connective tissues. 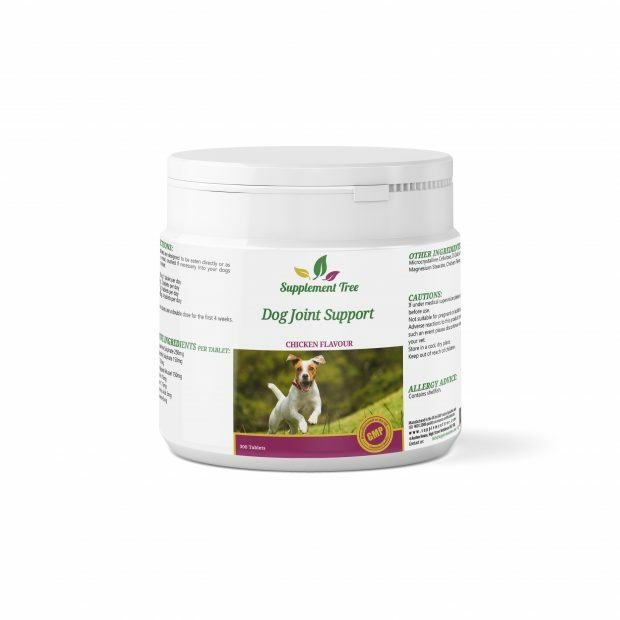 Joint Support Tablets can put the spring back into your pets step and help them to maintain mobile and pain free joints. 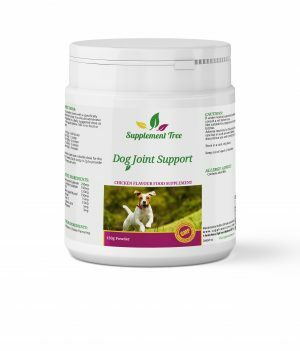 8 specially chosen nutrient dense ingredients help to support healthy joint function. These include Glucosamine, Chondroitin, Green Lipped Mussel and MSM. 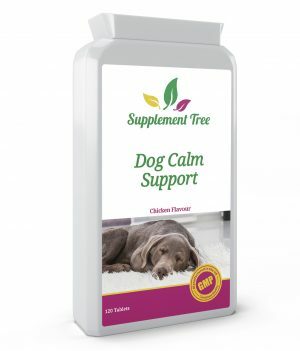 The high Green Lipped Mussel content in this supplement mean that it is also a great source of Omega 3 – helpful for maintaining healthy skin and coat. Supplement Tree Joint Support Tablets are manufactured in the UK to GMP code of practice and ISO 9001 quality assurance certification.